Within the site, the most vulnerable development (e.g. an electricity substation) is located in areas of lowest flood risk unless there are overriding reasons to use a different location. The development is appropriately flood resilient and resistant, including safe access and escape routes where required, and that any residual risk can be safely managed, including by emergency planning; and it gives priority to the use of sustainable drainage systems. They have considered the availability of water and water infrastructure for the lifetime of the development and designed responses to promote water efficiency and protect water quality. All development proposals located in flood zones 2 or 3. Development proposals of 1 hectare or more located in flood zone 1. Development sites located in an area known to have experienced flooding problems. Development sites located within 9m of any watercourses. There will be no increase in surface water discharge rates or volumes during storm events up to and including the 1 in 100 year storm event with an allowance for climate change (the design storm event). Developments will not flood from surface water up to and including the design storm event or any surface water flooding beyond the 1 in 30 year storm event, up to and including the design storm event will be safely contained on site. 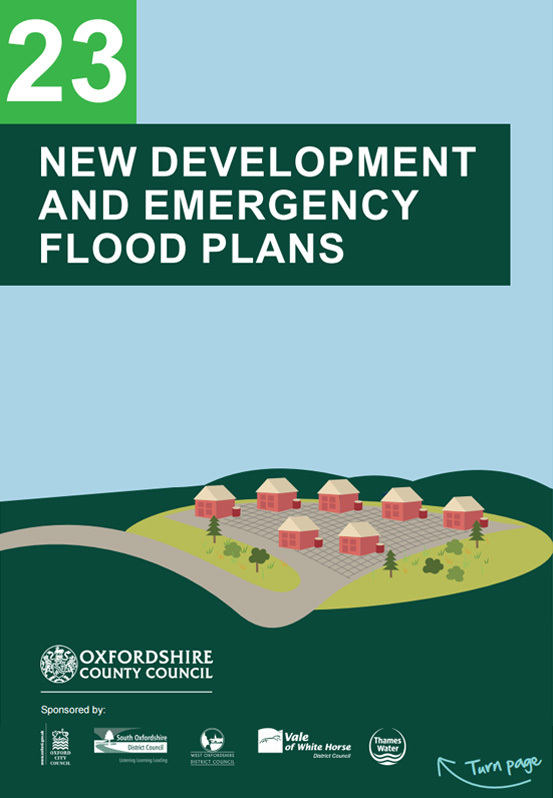 Development should be safe and remain operational (where necessary) and proposals should demonstrate that surface water will be managed effectively on site and that the development will not increase flood risk elsewhere, including sewer flooding. 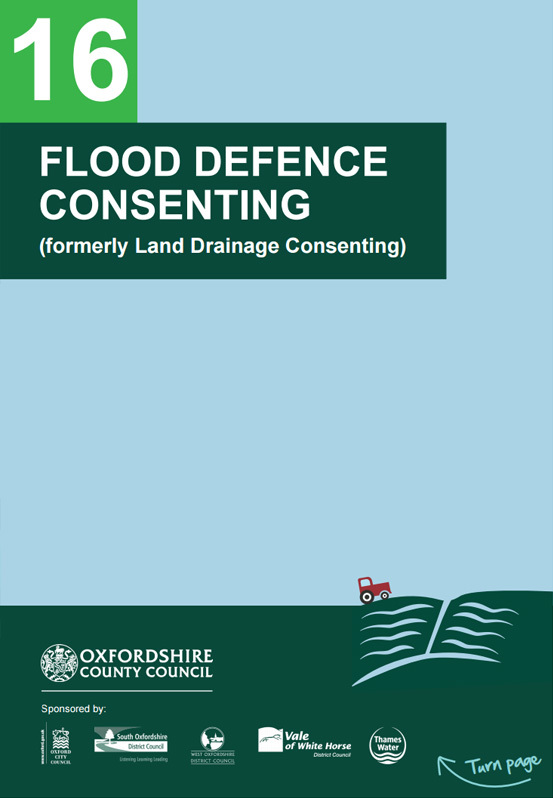 The above policy reflects government planning guidance on sustainable flood risk management set out in the National Planning Policy Framework (NPPF) and associated guidance. The suitability of development proposals will be assessed according to the sequential approach and where necessary the exception. We have published local guidance intended to inform developers of our expectations relating to the completion of Drainage Assessments. 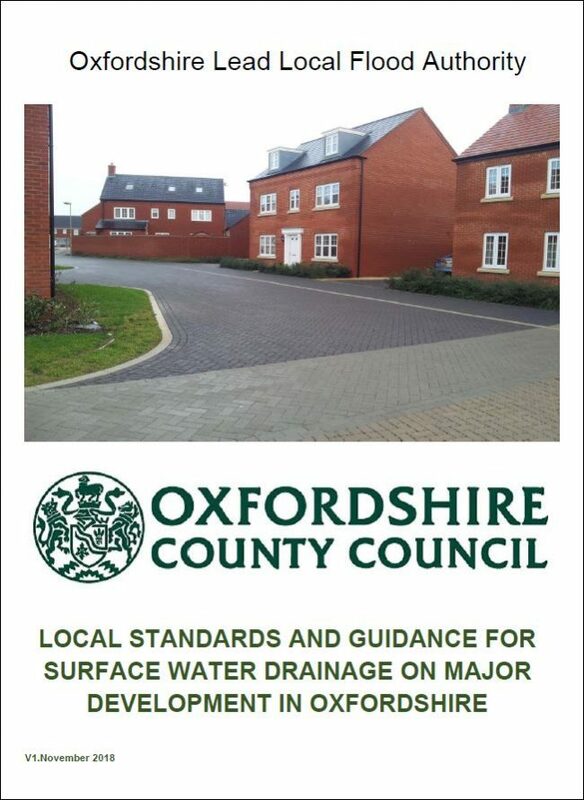 Please download the Local Standards and Guidance for Surface Water Drainage on Major Development in Oxfordshire for more information. This guidance is a ‘live’ document which will be continually updated and improved – the current version is: v1.0 November 2018. Although site specific Flood Risk Assessments may not be required for sites not identified as being at risk of flooding, there may still be a requirement to provide a Drainage Assessment in order to consider the impact the development may have on surface water management. For more information, please see our Surface Water Drainage page. In any development there is a residual flood risk, which is the flood risk after all measures of risk avoidance, reduction and mitigation have been taken. Measures should be in place to manage and plan for the residual risk, such as through evacuation procedures. Defended areas should be sequentially tested as though the defences are not there. Applications will also be assessed against the Environment Agency’s standing advice on flood risk. As in most areas of development control, the best outcomes are secured through more proactive working and early, pre-application discussions between developers and development control planners. In this way the management of surface water can be carried out effectively and also contribute towards place making and good urban design.